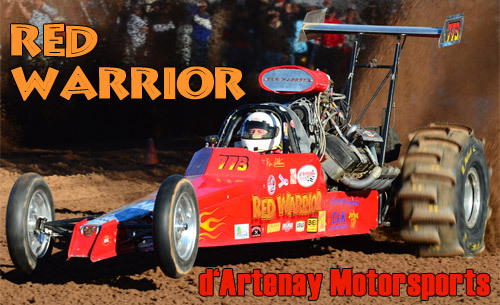 The Central California-based d'Artenay Motorsports team is home to the Red Warrior Top Eliminator Dragster driven by Ron d'Artenay. Ron has been a long time west coast racer, and most recently has been ultra competitive in the Top Eliminator category with his Hemi-powered Dragster. The d'Artenay Motorsports team can be found at all west coast events, including their home track events at Avenal Sand Drags in Avenal, CA.